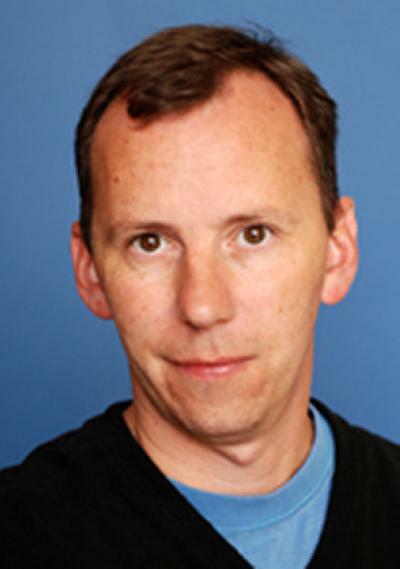 Dr Terry J Harvey is Senior Research Fellow within Engineering and Physical Sciences at the University of Southampton. Terry obtained a BSc (Hons) in Applied Chemistry from Portsmouth University and later followed this with a PhD on corrosion inhibitors, also at Portsmouth University. Terry joined Surface Engineering Research Group in the School of Engineering Sciences at the University of Southampton in 1997. Early work within the group concentrated on electrostatic condition monitoring development, working with the Office of Naval Research. Before diversifying into erosion-corrosion, working with National Physical Laboratory, anti-balling (anti-caking) of down-hole drill bits with Schlumberger and working on EPSRC-DSTL High Strain project and EPSRC Green Tribology platform grant (EP/J001023/1). During his time within the Surface Engineering Research Group, which became the National Centre for Advanced Tribology at Southampton (nCATS) Terry has help supervise six PhD students and one post-doctoral researcher covering research areas of electrostatic condition monitoring, lubricant additives, erosion-corrosion, electrochemical influences on friction and spectroscopic analysis of marine oil for condition monitoring sensor development. As well as performed consultancy work with Rifi on project with Rolls-Royce (Bristol and Derby), John Crane, Honeywell, McLaren, Mars Space Limited, Clyde and Co (Expert Witness), BP. Currently Terry is working on European Metrology Research Programme called "Metrology to assess the durability and function of engineered surfaces", with NPL BAM, INRIM, PTB, MIKES, CNAM, FAU, DTI, VTT, Alicona. Terry is also nCATS Facility Manager. EMRP (European Metrology Research Programme) - REG (Researcher Excellent Grant) Award to work on MADES (Metrology to assess the durability and function of engineered surfaces) with NPL (Prof. Mark Gee) Coordinating and partners BAM, INRIM, PTB, MIKES, CNAM, FAU, DTI, VTT, Alicona. The EMRP study will examine the mechanical degradation of surfaces at various stages of component lifetime, using nano and micro-mechanical tests available from the recently won EPSRC equipment grant within nCATS. The project will also employ a number of condition monitoring systems, including vibration, acoustic emission, temperature and electrostatics, along with applicable systems developed by JRP partners to give a fuller picture of the surface during the tribological lifetime. This will enable identification of markers/signatures related to the surface condition, and by combining these on-line techniques with post-test analysis new tribological surfaces/coatings and textured surfaces can be developed. Additionally work will support the assessment of chemical changes at tribological surfaces in the JRP by conducting post-test analysis using SEM-EDS, FIB-SIMS (Focus Ion Beam- Secondary Ion Mass Spectrometry) a fuller understanding of the tribofilm. This is a two year project aiming to design and build a novel friction simulation device at the National Centre for Advanced Tribology. The project will allow us to re-create in the laboratory the conditions that occur during oilfield exploration. This will allow better understanding as to the conditions and effects that arise from friction when exploring for hydro-carbon reservoirs or to reach geothermal energy sources. A study on White Etching Crack (WEC) root causes and its relation to material microstructures and surface treatments. Wang, L., Wood, R. J. K., Harvey, T. J., & Powrie, H. E. G. (2007). Electrostatic charge – a novel condition monitoring technology. Condition Monitor, 248, 5-9. Powrie, H. E. G., Wood, R. J. K., Harvey, T. J., & Morris, S. (2001). Re-analysis of electrostatic wear-site sensor data from FZG gear scuffing tests. Condition Monitor, 177, 6-12. Burson-Thomas, C. B., Wellman, R., Wood, R., & Harvey, T. (Accepted/In press). Importance of surface curvature in modelling droplet impingement on fan blades. In Proceedings of ASME Turbo Expo 2018: Turbomachinery Technical Conference & Exposition [GT2018-75032] New York: American Society Of Mechanical Engineers (ASME). Gropper, D., Wang, L., Harvey, T. J., Meck, K-D., & Ricchiuto, F. (2017). A numerical design tool for textured hydrodynamic bearings. Poster session presented at 72nd STLE Annual Meeting and Exhibition, Atlanta, United States. Esmaeili, K., Zuercher, M., Wang, L., Harvey, T., Holweger, W., White, N., & Schlücker, E. (Accepted/In press). Advanced signal processing techniques for wind turbine gearbox bearing failure detection. Paper presented at First World Congress on Condition Monitoring 2017, London, United Kingdom. Lidtke, A. K., Lewis, S., Harvey, T., Turnock, S., & Downes, J. (2017). An experimental study into the effect of transitional flow on the performance of underwater glider wings. Paper presented at Oceans '17 MTS/IEEE Aberdeen, Aberdeen, United Kingdom. Gropper, D., Wang, L., Harvey, T., Meck, K-D., & Ricchiuto, F. (2017). Numerical optimization of surface textures for tilting pad thrust bearings. Paper presented at 72nd STLE Annual Meeting and Exhibition, Atlanta, United States. Gropper, D., Wang, L., & Harvey, T. J. (2015). Hydrodynamic lubrication of textured surfaces: a review of modeling techniques and key findings. Poster session presented at 14th EDF/Pprime Workshop, France. Gropper, D., Wang, L., & Harvey, T. (2015). Journal and thrust bearings with textured surfaces: A review of modelling techniques. Paper presented at 14th EDF/Pprime Workshop, France. Wood, R. J. K., Ramkumar, P., Wang, L., Harvey, T. J., Nelson, K., Yamaguchi, E. S., ... Otin, N. (2005). Electrostatic monitoring of the effects of carbon black on lubricated steel/steel sliding contacts. In D. Dowson, M. Priest, G. Dalmaz, & A. A. Lubrecht (Eds. ), Life cycle Tribology: 31st Leeds-lyon Tribology Symposium (pp. 109-123). (Tribology & Interface Engineering; Vol. 48). London, UK: Elsevier. Care, I., Wood, R. J. K., Harvey, T. J., Morris, S., Wang, L., & Powrie, H. E. G. (2003). Electrostatic monitoring of aerospace bearings. 531-538. Paper presented at Sensors & their Applications XIII, . Wang, L., Wood, R. J. K., Harvey, T. J., Morris, S., Powrie, H. E. G., & Care, I. (2003). Feasibility of using electrostatic monitoring for oil lubricated ceramics to steel sliding contacts. In D. Dowson, M. Priest, G. Dalmaz, & A. A. Lubrecht (Eds. ), Tribological Research and Design for Engineering Systems (pp. 625-635). (Tribology Series; Vol. 41). the Netherlands: Elsevier. Wood, R. J. K., Harvey, T. J., Morris, S., & Powrie, H. E. G. (2002). Electrostatic monitoring of boundary and mixed lubrication. In Proceedings of 28th Leeds-Lyon symposium on Tribology: Boundary and mixed lubrication (pp. 83-92). (Tribology Series; No. 40). UK: Elsevier. Morris, S., Wood, R. J. K., Harvey, T. J., & Powrie, H. E. (2000). Electrostatic sensor calibration for the detection of charge generated by wear debris formation in oil lubricated contacts. Paper presented at Sixth Postgraduate conference in Engineering Materials, Southampton, United Kingdom. Harvey, T. J., Walker, J. C., King, S., & Wood, R. J. K. (2013). Results of a UK industrial tribological survey. National Centre for Advanced Tribology (nCATS).